“I’m still in shock at the news coming from Christchurch today. To any Muslims, both in New Zealand and around the world I am sorry. This sick psychopath does not represent our nation and how we feel. 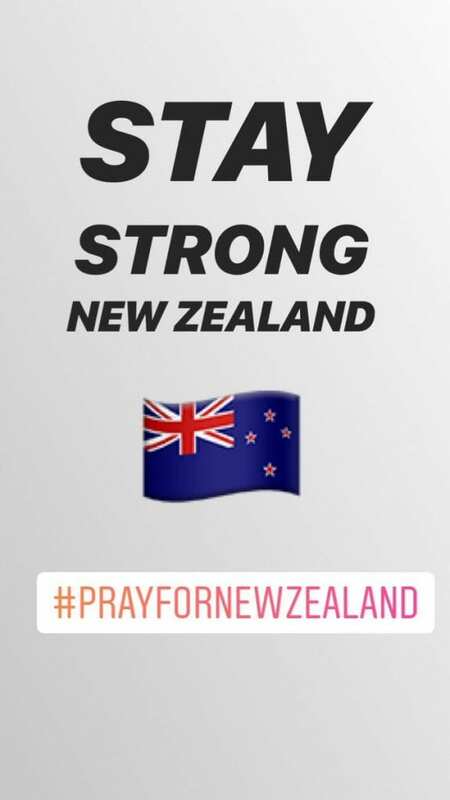 My prayers are with all those affected.” A local New Zealand resident posted this to social media after a white supremacist went on a deadly mass shooting in that usually peaceful South Pacific country. On Friday at 3:45 om local media reports about a second attack and mass shooting in a Mosque in Christchurch, New Zealand. There have been two shooting incidents – at the Masjid Al Noor Mosque next to Hagley Park, and at the Linwood Masjid Mosque in the suburb of Linwood in Christchurch, New Zealand. About 300 people were inside the mosque for afternoon prayers. New Zealand police say they’ve defused a number of improvised explosive devices found on vehicles after mosque shootings. Witnesses report mass casualties inside the mosque and one witness said he saw the gunman flee. All Christchurch schools were in lockdown because of “a serious ongoing firearms incident” near a mosque. Christchurch with an active shooter. Bush also recommended that residents across the city remain off the streets and indoors. “Police are responding with its full capability to manage the situation, but the risk environment remains extremely high,” Bush said in the statement. A horrible video was posted to a Twitter account belonging to a Brendon Tarrant who also posted his justification for the mass killing. ETN will not share the live streaming video of the New Zealand mosque shooting and reported it to Twitter to get removed. A witness said he saw a man dressed in black enter the Masjid Al Noor mosque and then heard dozens of shots, followed by people running from the mosque in terror, the Associated Press reported. He said he also saw a gunman flee before emergency services arrived. Peneha said he went into the mosque to try and help: “I saw dead people everywhere,” he told the Associated Press. 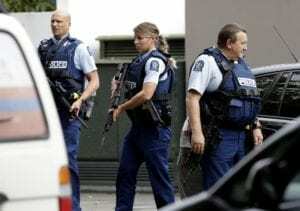 At 1.40pm a gunman wielding an automatic rifle opened fire on a mosque in Christchurch, New Zealand, approximately ten minutes after approximately 300 people began afternoon prayers. Witnesses say, there is blood everywhere. Jacinda Kate Laurell Ardern, Prime Minister just called the violence unprecedented and New Zealand’s darkest hour. The killers’ justification was to take revenge against terror attacks in Europe by Islamic killers. One person was arrested by New Zealand police so far, but police are still hunting for an active shooter, New Zealand Police Commissioner Mike Bush stated. The gunman in New Zealand had “for Rotterham” written on his rifle magazine together with names of other mass shooters. The Christchurch Mosque shooting suspect wrote “I chose firearms for the affect it would have on social discourse,” also said he hoped to draw media attention and hoped to influence political matters in the United States. In an update police said they now have 3 men and one women arrested.